It finally happened. 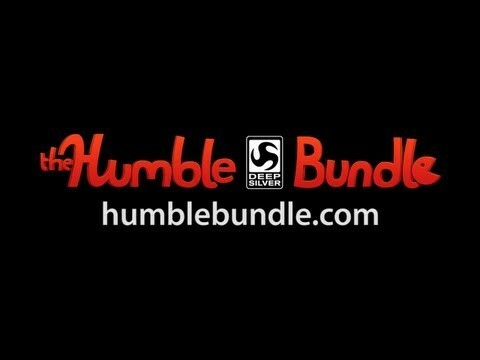 A Star Wars bundle with the best games the galaxy has to offer in it has been launched by Humble Bundle. I’ve never hidden my love for games such as Knights of the Old Republic, or Jedi Knight: Jedi Academy and today launched a bundle with those games in the very first tier. Joining them in that level of purchase is Dark Forces, the original Star Wars shooter (and Doom clone). If the purchaser beats the average, he gets access to Star Wars Battlefront 2, which in my opinion is the weaker Battlefront entry, but still a very great Battlefield-esque game. You get the sequel to Knights of the Old Republic, The Sith Lords (TSL) which is widely acclaimed as the best Star Wars story in the Star Wars canon, and if you to ask me, rightfully so. TSL is a game that deconstructes the light side/dark side idea of the Force, and makes the player look at morality in the Star Wars universe on a level that we don’t see anywhere else in the francise. In addition to those two, you get access to Republic Commando, another of my favourites. In this Rainbow Six-clone, you play as four members of the Republic Commandos as they fight their way through the clone wars. Definitely a must-play if you’re into first-person shooters, especially gritty ones. It’s written by Karen Traviss, who is a polarising author in the Star Wars universe, but if you’ve ever wanted to know more about clone culture and just something that isn’t all about Jedi, Republic Commando (and the accompanying books) is a great place to start. On top of this, they say that they’ll be adding more games to that tier at a later date. If the bundlee pays more than $12, he gets a bit of a worse deal. Empire At War is the first of the games in the series, and that’s one of my personal favourites ever. A great real-time strategy game with a grand strategy mode where you control your empire. It’s also incredibly modaable so that players can add different factions, units and even universes to the game. Next in this tier is the Force Unleashed, which is a decent Hack’n’Slash game about Darth Vader’s secret apprentice. It’s good, but I would only pick it up if you’re a fan of hack’n’slash games and are looking for a sci-fi one. The one game to not pick this bundle up for is Force Unleashed 2, which isn’t a good game. It goes places in the Star Wars canon that don’t make sense, and doesn’t play all that well either. You should definitely grab this bundle if you’re into role-playing games, or if you’ve never played a Star Wars game. There’s some good shooters, and some good hack’n’slash stuff in there too. If you want to buy Knights of the Old Republic specificially, though, it’s probably easier (and definitely cheaper) to get on Steam as a bundle for the two games.